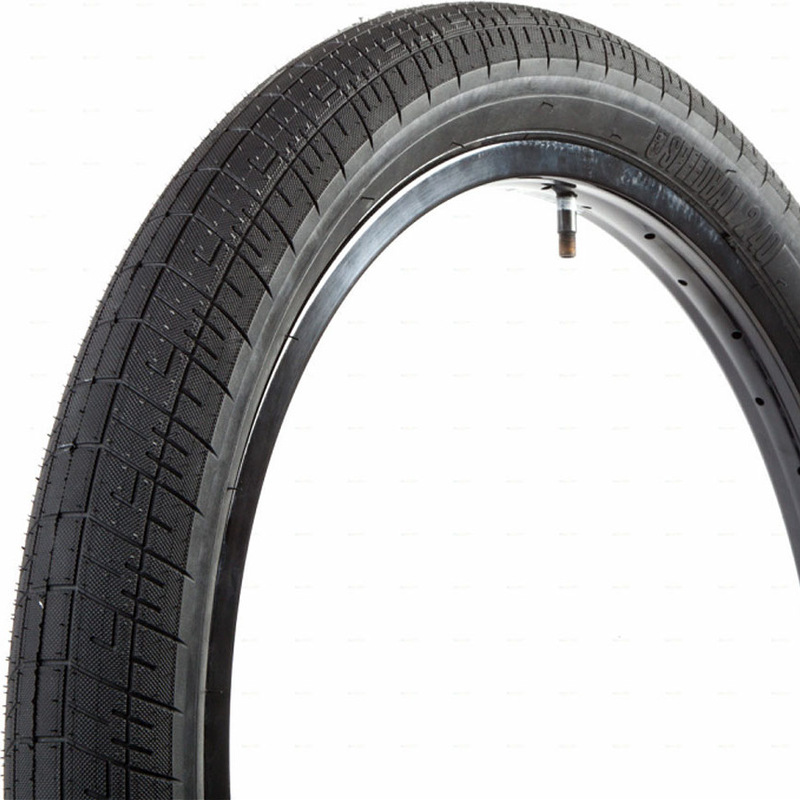 The 22" Speedball has a broken center tread making it a great dirt/street/park tire. Available in a wire bead only in a high pressure casing with extra pinch flat protection. The 22" Speedball features a multi edged S/M shoulder tread design that looks cool and holds the ground. The 2.25" is light and fast and works well in the front or rear. It's big enough for today's street riding but small enough to stay out of the way on grinds, spines, or frames and forks with minimal clearance. The 2.4" works equally well on the front and rear for riders that prefer big tires. Available in 22" x 2.25" and 22" x 2.40"